One reason I started this blog was to connect marketers and advertisers with first class agencies with the knowledge and know-how to effectively reach the GLBT community. Too often it seems, when organizations want to target gay and lesbian consumers, they turn to the large mega-agencies that handle the rest of their advertising programs. While the big boys certainly afford advertisers some efficiencies in scale, I believe smaller, GLBT-focused (and often GLBT-owned) firms are vastly more qualified and effective at marketing to our community. One such agency is Witeck-Combs Communications based in Washington D.C. Witeck-Combs has emerged as the country’s preeminent public relations and marketing communications firm specializing in the GLBT consumer segment. With an impressive client list that includes an array of Fortune 500 firms, there are few agencies that can match their experience with and knowledge of the gay community. Business partners Bob Witeck and Wes Combs founded the agency in 1993 because they saw a disconnect between the gay community and the business community and decided their firm would be a bridge to connect these two worlds. In addition to consulting services that include business plan assessments, media relations, management education, and strategic business partnerships and sponsorships, Witeck-Combs has been instrumental in bringing meaningful GLBT market research to the fingertips of U.S. marketing professionals through partnerships with organizations like Harris Interactive and MarketResearch.com. To learn more about or to contact Witeck-Combs Communications, you can visit their website. If you don’t have an immediate need for the agency’s services but are interested in learning more about GLBT marketing and communications, you’re in luck. Witeck and Combs also penned Business Inside Out – hands down the best book on the subject of best practices in GLBT business. I apologize for the dearth in posts this past week as I have been traveling on business. While I was gone, Witeck-Combs Communications and Packaged Facts circulated a press release that I would be remiss not to mention. In a report called The Gay and Lesbian Market in the U.S.: Trends and Opportunities in the LGBT Community, 6th edition, the two firms project that the buying power of the U.S. GLBT population will be $743 billion in 2010, up from $732 billion in 2009. It is significant that U.S. GLBT incomes appear to be holding steady despite the worst economic conditions since the Great Depression, especially considering other reports that suggest that gays are more optimistic about the economy in general. 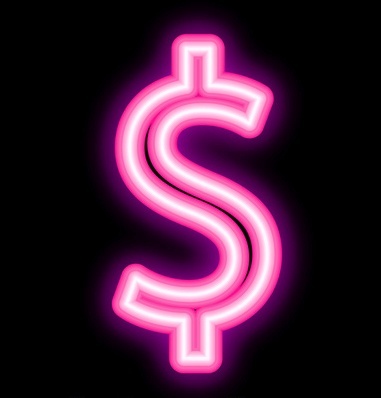 For marketers, the implications are clear: the pink dollar is stronger than ever, and the gay community isn’t afraid to spend. 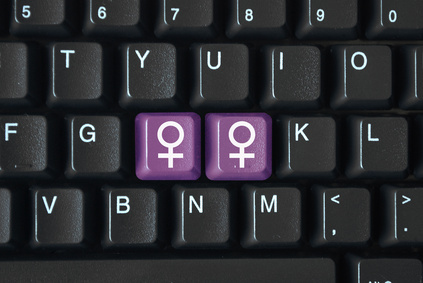 It’s no secret that Americans are turning to the internet more and more as a source for connecting to the outside world, and a new report by Harris Interactive and Witeck-Combs Communications suggests the GLBT community is at the forefront of this trend. The press release published today reports that 54% of GLBT adults read blogs on a regular basis, compared to just 40% of heterosexual adults. Furthermore, gay and lesbian membership on social networking sites outpaced heterosexuals on Facebook, LinkedIn, MySpace, and Twitter, and 55% of GLBT adults visit a social networking site every day compared to just 41% of heterosexual adults. For marketers wanting to reach the GLBT community, this report has some significant implications – the most obvious one being that a strong social media platform is important when targeting gay consumers. The study will also likely provide fodder for those who contend that gays and lesbians are turning to the internet more and more for news that affects the GLBT community (possibly at the expense of gay print publications). Additionally, this report says something about gay consumers in general – that we are more likely to use new technology and new means of connecting to the world around us. This means marketers should be agile and alert to new and innovative advertising outlets and must try to avoid stale, habitual techniques when targeting the GLBT community. Marketers hoping to increase their exchanges with GLBT consumers have a new source to help them bridge the gap – Pride Research. The Dallas, TX-based research firm offers research services from surveys to focus groups and product readiness and gives free evaluations for any business trying to better reach gay consumers. 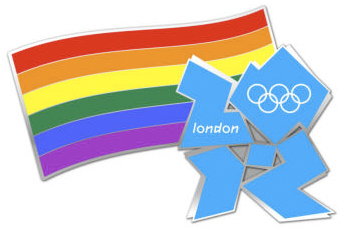 Add the London Olympics to the long list of tourism industry organizations that are targeting the GLBT community with their marketing efforts. The group announced that they have begun selling commemorative Olympic badges supporting the gay community in advance of the 2012 Summer Games. The badges, featuring the rainbow flag and London 2012 logo, were on sale at London Pride last weekend and can be bought on the London 2012 website. This gay marketing effort is in line with the organization’s larger initiative to foster more inclusion in sports. Games organizers plan to sell more pin badges in the next year based on other issues such as age, disability, belief, gender and ethnicity. Earlier this week I posted a story about one gay couple’s nightmarish experience at a Mexican resort that was supposed to be “gay-friendly.” It turns out the Gran Melia resort was anything but gay-friendly, and the staff made it perfectly clear they had no desire to accommodate gay guests. However, hospitality industry professionals who would like to serve GLBT consumers should check out GayComfort. GayComfort is an innovative online training, accreditation, and marketing program created by leading GLBT consulting firm Out Now in cooperation with the International Gay and Lesbian Travel Association. The program is intended for staff at hotels, restaurants, and travel agencies across the world looking to improve the quality of service delivered to the gay and lesbian consumer market. GayComfort comprises a suite of online training knowledge for staff working in the travel industry worldwide. It covers key areas of gay travel concern such as appropriate terminology, debunking stereotypes and provides practical tips on how staff can make their lesbian and gay customers feel comfortable being themselves. Karen Ocamb from the Bilerico Project recently shared the story of Matt DeLeva and Eric Diaz’s recent trip to a “gay-friendly” resort in Cancun. What should have been a dream vacation (in which Diaz proposed to DeLeva) turned out to be a nightmare when it became apparent that this resort was anything but gay-friendly. It begs the question, what qualifies a hotel, or any other business for that matter, as gay-friendly? In this case, the couple found the Gran Melia Resort on Expedia.com, under the “Gay Hotels & Gay Resorts” section of the website. Expedia partners with the International Gay & Lesbian Travel Association for the content of its GLBT oriented mini-site. There’s no telling how this very homophobic resort slipped through the cracks of the normally very thorough IGLTA. As of today, Expedia still has the Gran Melia on its list of gay-friendly Cancun resorts.